A big thank you to everyone who came out to support us at the 35th Annual Christ Church May Day fair on Bank Holiday Monday, 6th May. The fantastic weather helped to draw out the crowds and we raised over £7,000 for good causes! 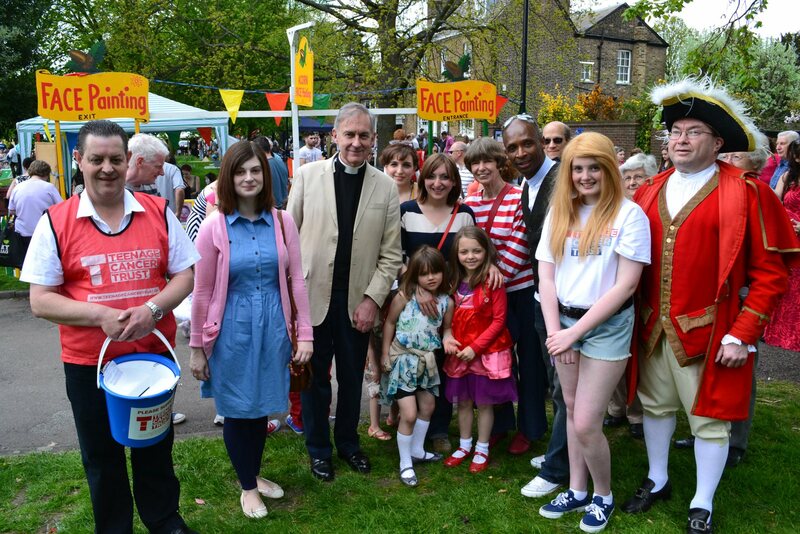 The fair was opened by Fr Peter, David Burrowes MP and Enfield born soul singer and X Factor star Andy Abraham – a long-time supporter of the Teenage Cancer Trust, the main charity beneficiary. The charity builds and maintains specialist teenage cancer wards in NHS hospitals allowing teenagers (who would otherwise be treated in paediatric or adult wards) to be alongside patients of their own age. Hannah Martin and Lyndsey Laplain, who had received support from the Trust during cancer treatment, gave moving speeches about the positive impact the charity had on their lives. 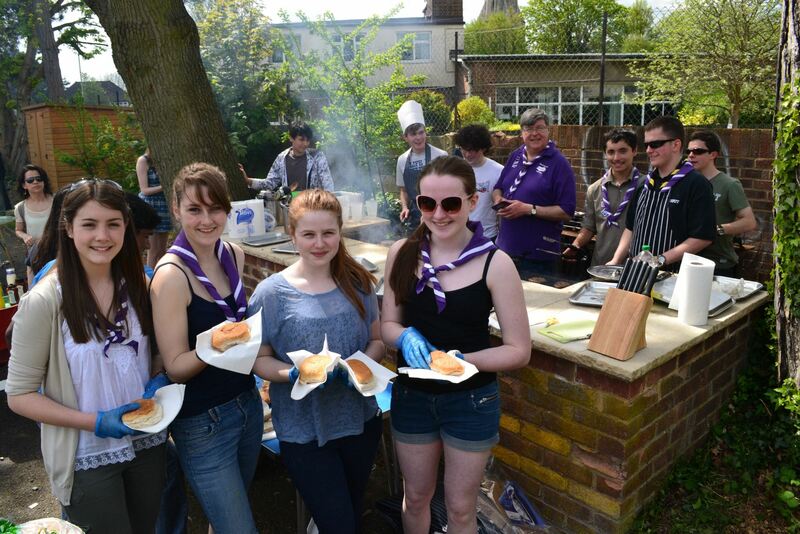 The Hatters Explorer Scouts ran the BBQ! The Mayor of Enfield Cllr Kate Anolue, crowned Amelia Marriott as the new May Queen while her attendants Ellie Tobin and Chloe Marriott and outgoing Queen Alexandra Rogers, looked on. Entertainment in the arena was provided by the Acorn Theatre Company, Enfield Grammar School Jazz Band, the Latymer School Drama Group, the Choir of Christ Church Southgate, Zumba with Latin Vibes and the Air Cadets Band. The fair concluded with a service of Choral Evensong in the church. 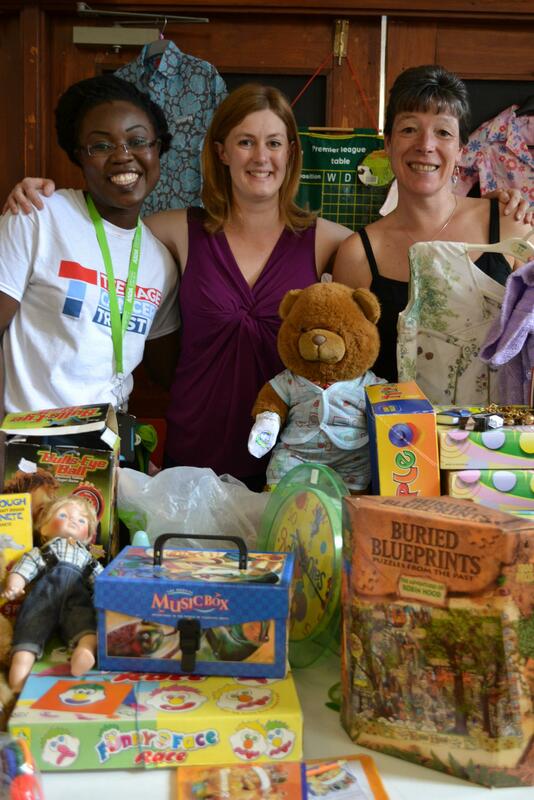 The toy stall proved popular with all ages! The funds raised will be split between the Teenage Cancer Trust (main beneficiary), The Hatters Explorer Scouts Namibia Challenge, Enfield Talking Newspaper, the Highlands & Southgate Squadron ATC and Christ Church Southgate. ← Supper Club Report – Time to buff up your candlesticks and polish those glasses!